Dr Samuel Adjorlolo is a lecturer at the Department of Mental Health, University of Ghana. 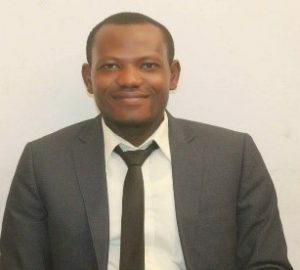 He Holds MPhil and MSc degrees from University of Ghana and University of Tromso (now Arctic University of Norway), respectively, and a PhD in Forensic Psychology and Criminology from City University of Hong Kong. His doctoral dissertation proposed and examined the utility of an integrated neuropsychosocial model in assessing risk of criminal offending. Samuel has received several honors and awards, including the prestigious Chow Yei Ching school of graduate studies and research tuition scholarships (City University of Hong Kong), Emerging Psychologist (International Congress of Psychology), and Doctoral Summit Scholarship (Academy of Criminal Justice Sciences). His research interests include assessment of criminal offenders, offender rehabilitation, mental illness and crime, and biosocial criminology.